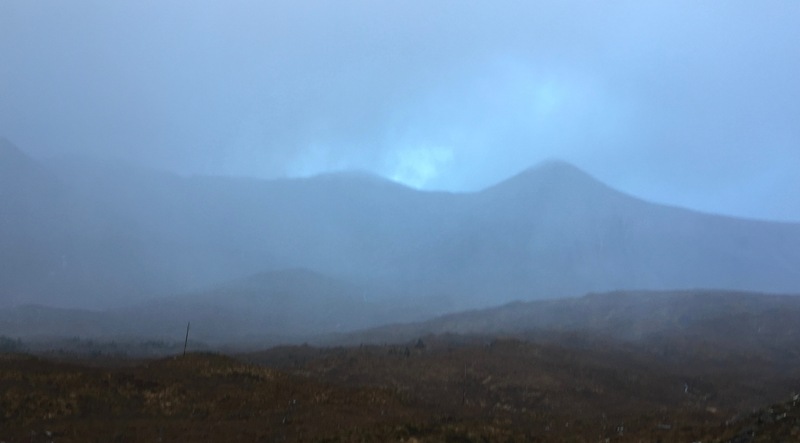 SAIS Torridon Blog » Gale force winds and heavy rain. Gale force winds and heavy rain. 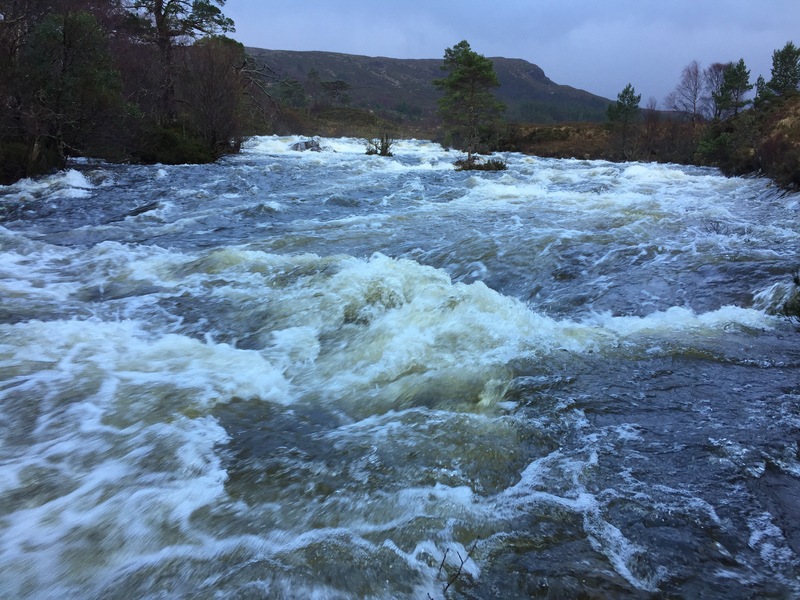 Quite a wild day here with very strong winds. We did get some bright periods between the showers, I was expecting some fresh snow on the tops but I did not see any. It did feel distinctly colder by lunch time and that could have partly been down to the fact that I got quite soaked in my soft shell trousers as I did not wear my GoreTex over them. But the temperature did lower and there is probably some snow falling on the summits by now and it is certainly forecast. We had very heavy rain last night. As soon a you leave the paths it is rather wet underfoot and the streams and burns are all in spate. There is plenty water around. This morning it was pretty cloudy, with occasional brighter patches above. 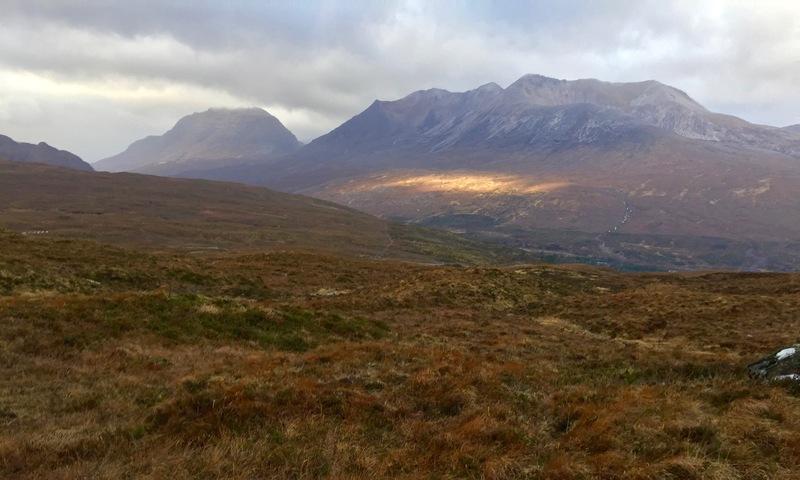 Nice views of Liattach and Beinn Eighe by lunch time but it soon clagged in again not long after.